photo:Mark and Teresa Richey meet with Renzo Piano, world-renowned architect and designer of the Harvard Art Museums. After 8 years of powering our 100,000sf shop, our wind turbine's blades and hub came down by crane for routine maintenance. 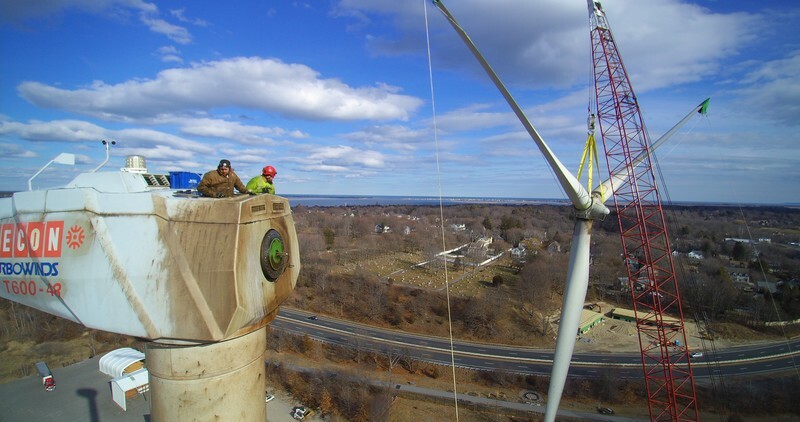 These unique shots were taken by drone by our MRW employee Nick Gordon.The turbine is being serviced and cleaned and should be back up and running next week. 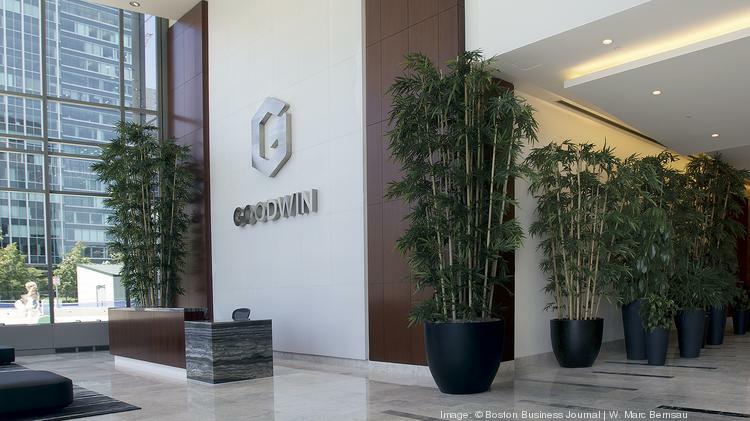 We were honored to have provided all the millwork for Goodwin's new office space in the Seaport District. 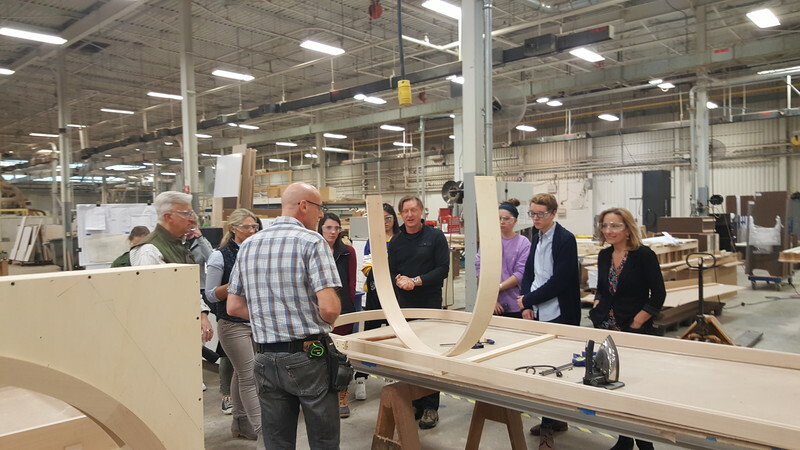 Mark Richey gave a tour to design students from Endicott College, Beverly, MA. Mark was able to demonstrate to the students, our 3D/BIM technology and how a project goes from the engineering and design stage to actually being built in the shop. When we needed to revamp out website we turned to iMarc, Amesbury, MA. 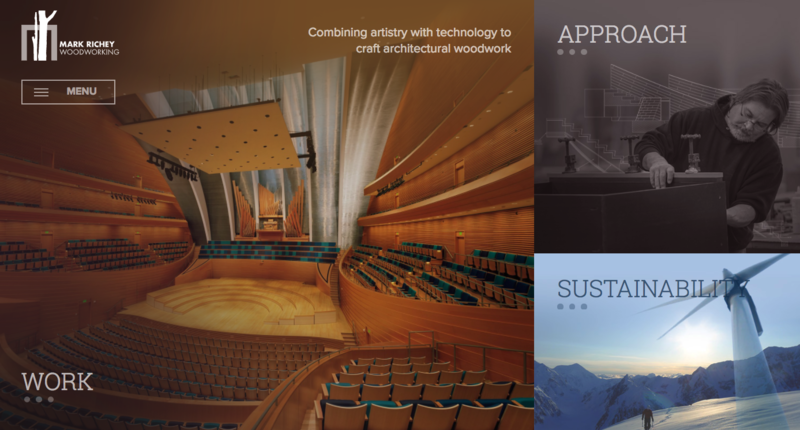 iMarc recently won a national W3 award for our new website; Gold for Visual Appeal. Way to go iMarc! MRW honored by the State for its commitment to renewable energy and energy efficiency. 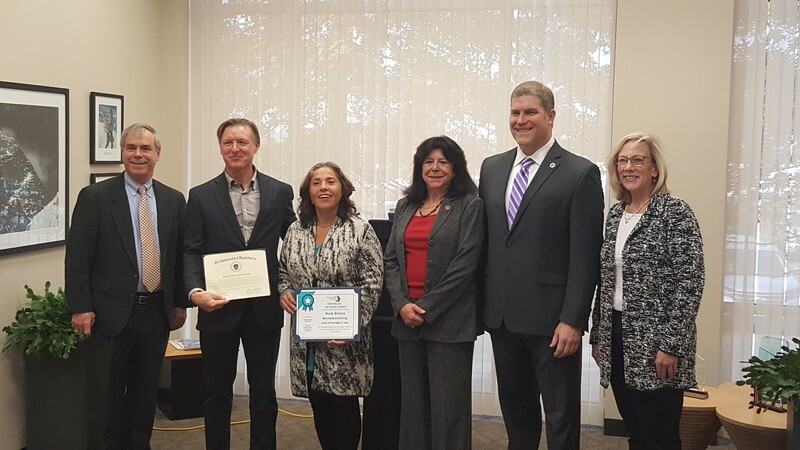 October 27, 2016: State energy and environment officials today joined the Massachusetts Office of Technical Assistance (OTA) and other state and local leaders at an event to recognize the alternative energy and energy efficiency accomplishments of Mark Richey Woodworking (MRW) of Newburyport, MA. Our most recently completed project! 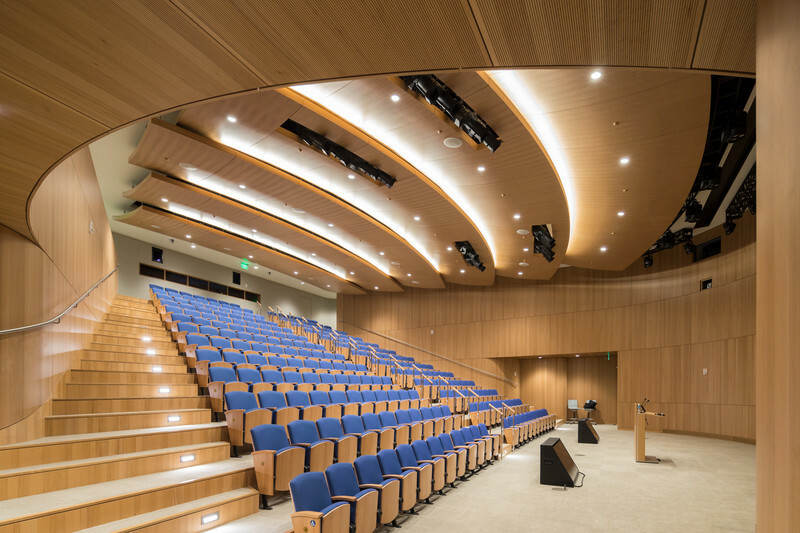 This auditorium represents only one component of a project crafted by MRW, Our work covered two buildings and included a stunning wood atrium, custom furniture, architectural benches, reception, conference rooms, offices, cafeteria and serveries. 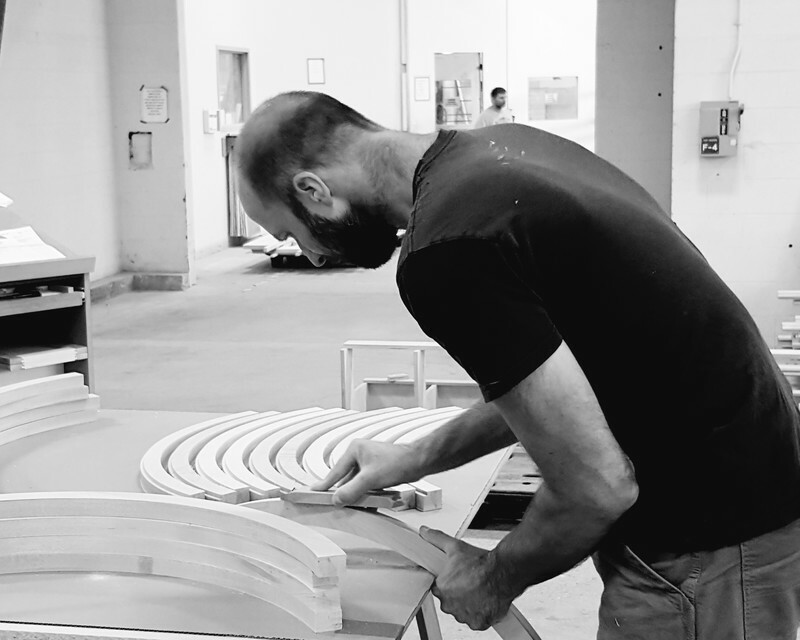 Our dedicated craftsmen have the expertise and attention to detail to make our finish work exceptional. 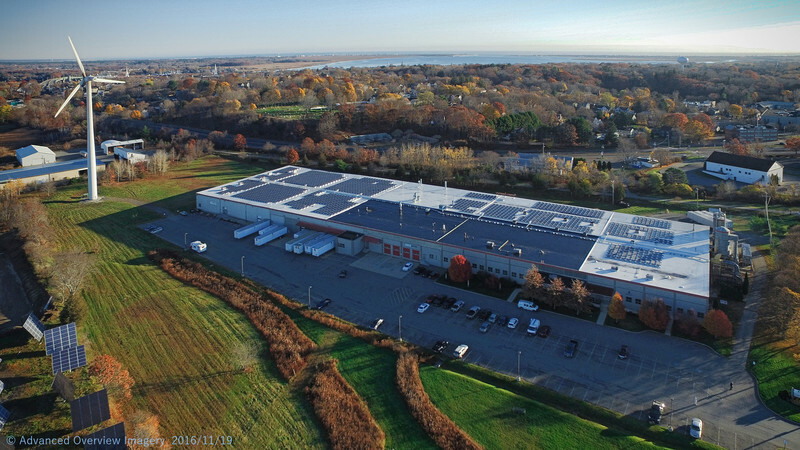 Mark Richey Woodworking has gone solar! Our first solar panel has been placed! North Bennet Street School, Boston, profiles Alumnus Greg Porfido. The North Bennet Street School recently profiled alumnus Greg Porfido. 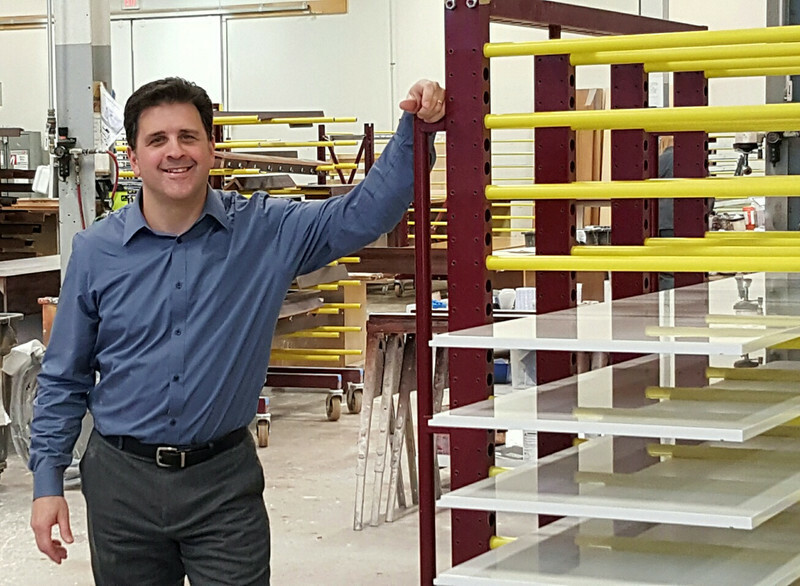 Greg has been with Mark Richey Woodworking for 28 years. Greg served on the Board at NBSS and continues to stay involved with their alumni relations. 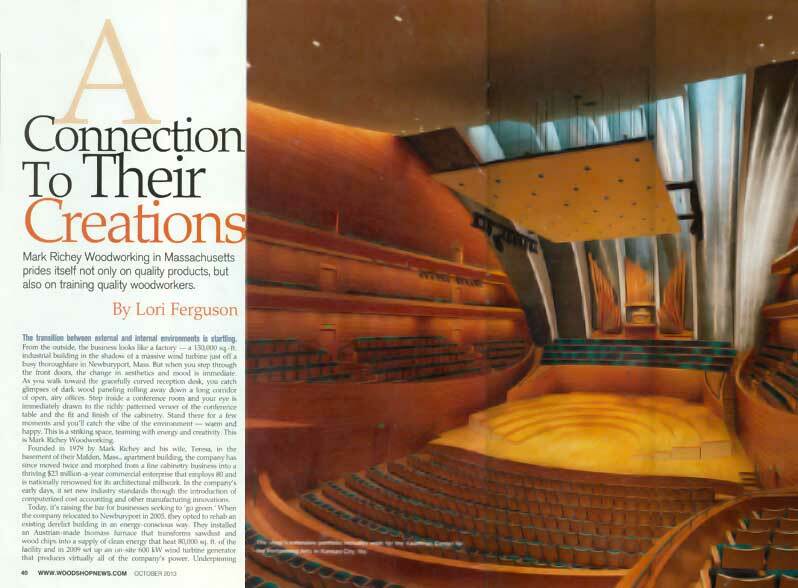 Mark Richey Woodworking was profiled in the October 2013 issue of Woodshop News.